Sindhu, who bagged a historic silver medal at the Rio Olympics, was recommended for India's third highest civilian honour by the sports ministry on Monday. A two-time bronze medallist at World Championships, Sindhu has been simply unstoppable ever since becoming the first Indian to win a silver at Rio Games in 2016. If Sindhu gets past her first-round opponent and Okuhara is able to beat Hong Kong’s redoubtable Cheung Ngan Yi in her lung-opener in Tokyo on Wednesday, the two arch-rivals will pit their wits against each other. Okuhara actually won more points than Sindhu – 59 points, to the Indian’s tally of 54 – but ended up on the second step of the victory rostrum, while her rival towered over her on the top step. 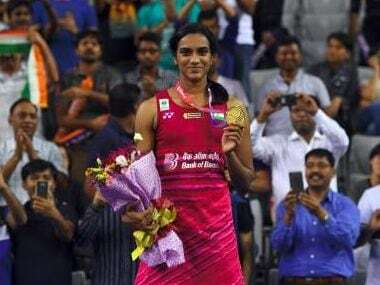 PV Sindhu on Sunday said the heart-breaking World Championship final loss was not on her mind when she was plotting the downfall of Japan's Nozomi Okuhara en-route to her Korea Open title at Seoul. Olympic silver medallist shuttler P V Sindhu defeated world champion Nozomi Okuhara in a thrilling summit clash to clinch the women's singles title at the Korea Open Super Series in Seoul on Sunday. 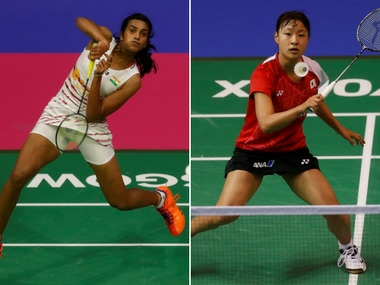 The No 5 seed Sindhu struggled for an hour and six minutes to subdue her Chinese opponent He Bingjiao 21-10, 17-21, 21-16, to barge into the final of the $600,000 event.